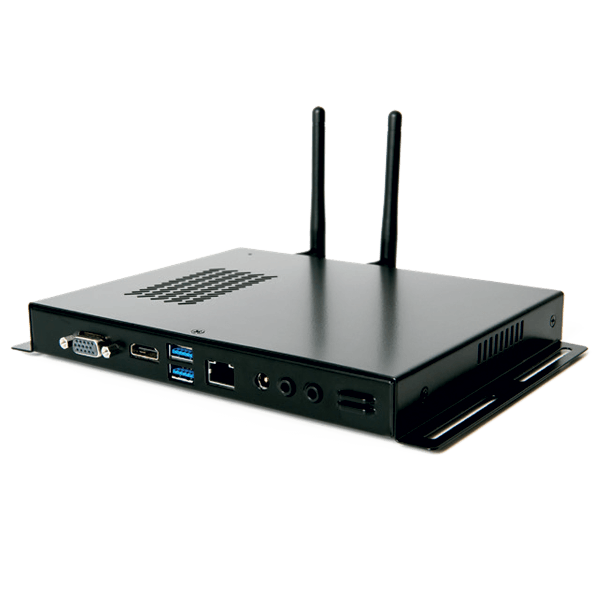 The 7th/6th Generation Intel Core processor based SI-626 is a slim digital signage player with AMD Radeon E8860 graphics, Windows 10 operating system and six HDMI outputs. 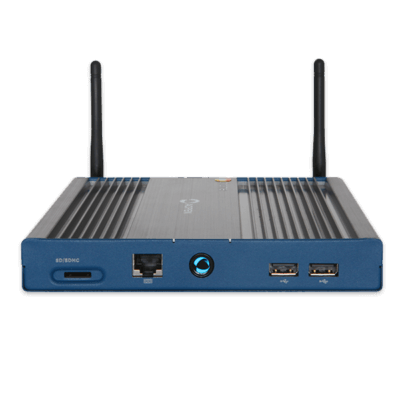 The 7th/6th Generation Intel Core processor based SI-626 is a slim digital signage player with AMD Radeon E8860 graphics, Windows 10 operating system and six HDMI outputs. 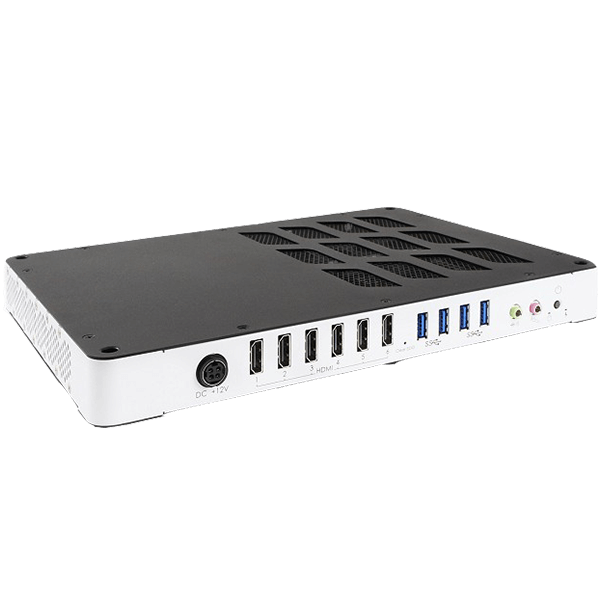 It is built specifically for multi-screen video walls, as it supports upto 6 displays (HDMI 1.4) with independent audio and ultra high resolution. 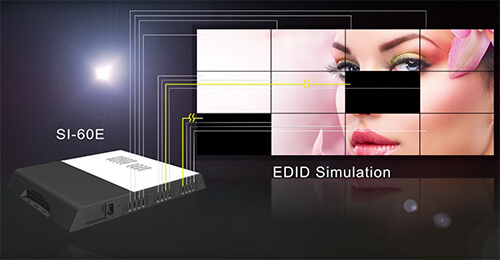 It integrates EDID emulation and bezel adjustment and iBASE’s iSMART technology featuring power on/ off scheduling and intelligent OS recovery reducing maintenance costs and enhances system stability. 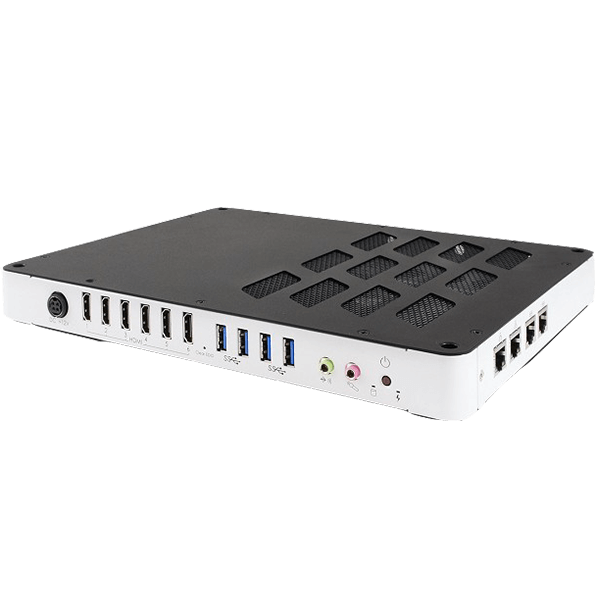 The SI-626 boasts six HDMI outputs supporting ultra high resolution. Each output also includes hardware EDID emulation meaning if one screen goes down / output is removed, the other outputs remain unaltered. This avoids any unwanted squashing / convergence of content being displayed. Intel AMT (active management technology) is also supported allowing you to manage and carry out maintenance remotely even if your device is off (must have a working network connection). You can gain access right down to the bios level to carry out full, in band (device is on, online and running Windows OS), and out band (device is off, not running Windows OS but has network connection), remote management. iSMART is a unique technology that iBASE created for protecting and enabling systems. iSMART provides various options via the BIOS such as automatic power on/off scheduling (shutdown and autostart OS), power failure detection and temperature monitoring to reduce downtime and save power. 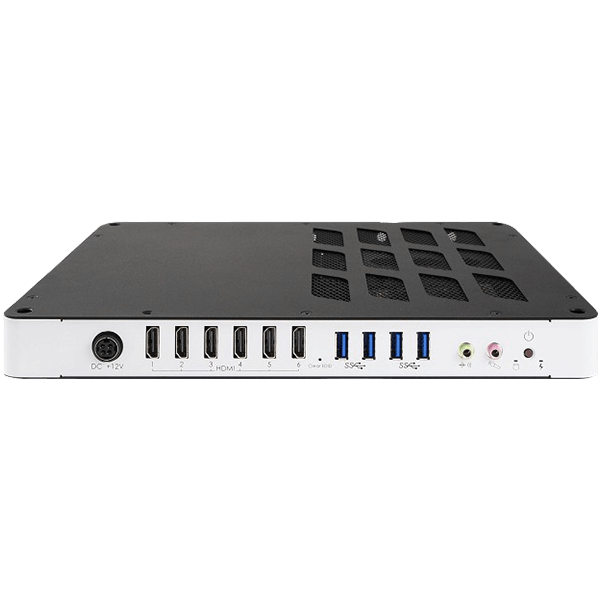 Use this device with embed signage to maximise the features of the unit for Digital Signage running Windows OS.